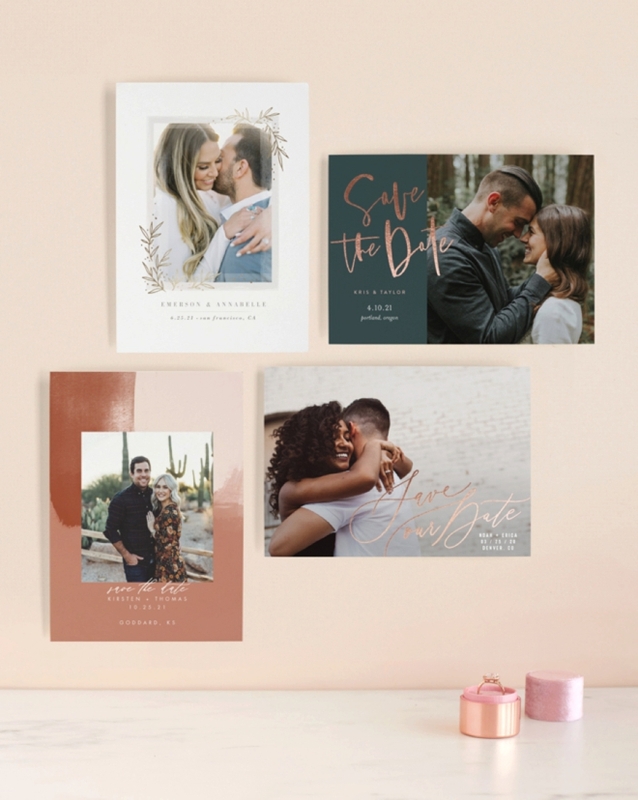 Brand New Save the Dates For 2019 From Minted! We received product in exchange for sharing this post. Contains affiliate links. 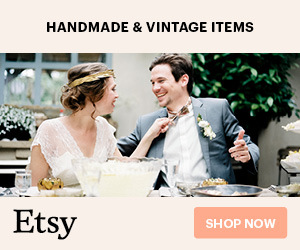 Minted gets the DIY bride. 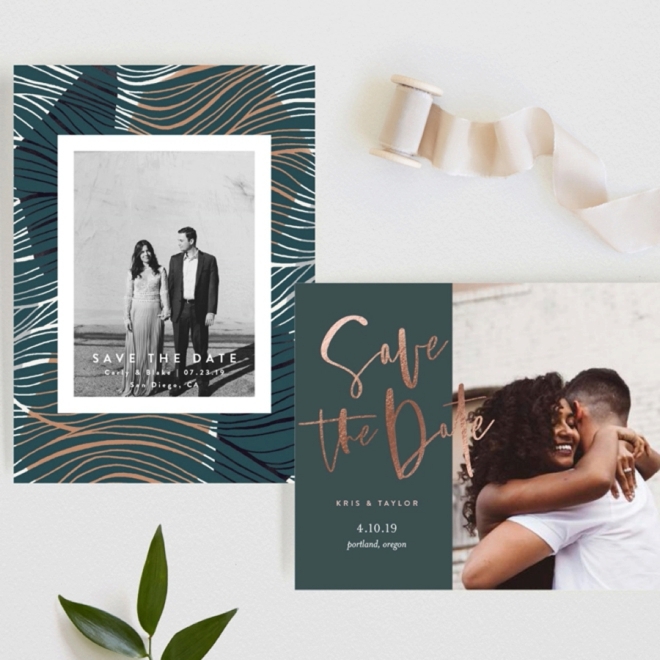 Since they truly understand what you’re looking for, I’m thrilled to share some of their brand new, 2019 Save the Date designs with you today! And oh, are they gorgeous! To me, the very best part about Minted is that they source every single design from an independent community of artists. Artisans from across the world actually submit their designs, then the community votes and the favorites end up being sold! Isn’t that fabulous!? Second favorite part about Minted, everything can be customized. Their motto is “fully customizable until it’s perfect”. 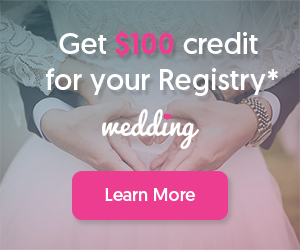 Which is ideal for all my creative brides out there as I know you are looking to make your wedding day sincerely unique. From thick gorgeous papers to rich inks and color palettes to drool over, we always choose Minted for our stationery needs. 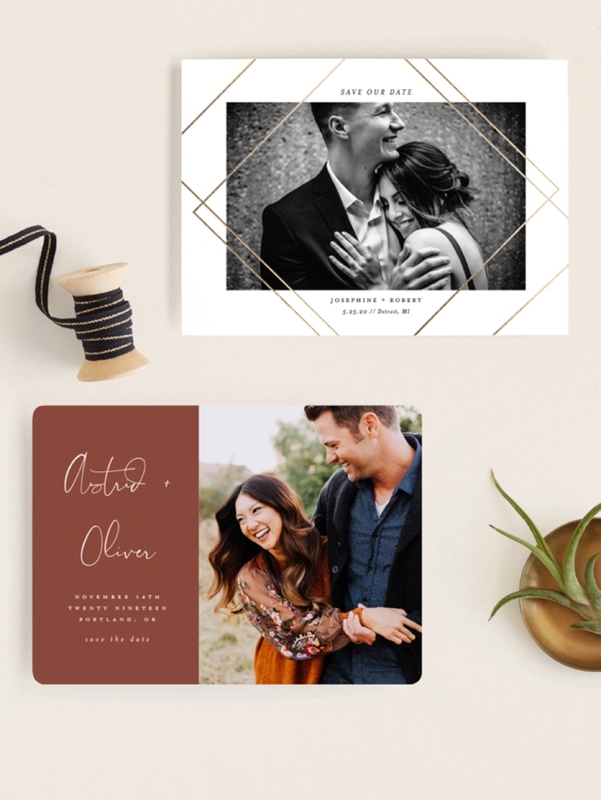 They make being luxurious, ultra-easy with their matching envelope liners, custom postage, and FREE calligraphy-inspired guest addressing to match your choice of design. I’m absolutely dying over these deep green and copper foil designs! Love the look of foil but looking for something a little more unique or different? Custom foil can be added to any text on any design. Want your names foiled? Or maybe just your wedding website, they can do it! Isn’t that awesome!? All foiled designs are hand-pressed with either real gold, silver, rose gold, glittery gold, or glittery silver foil. 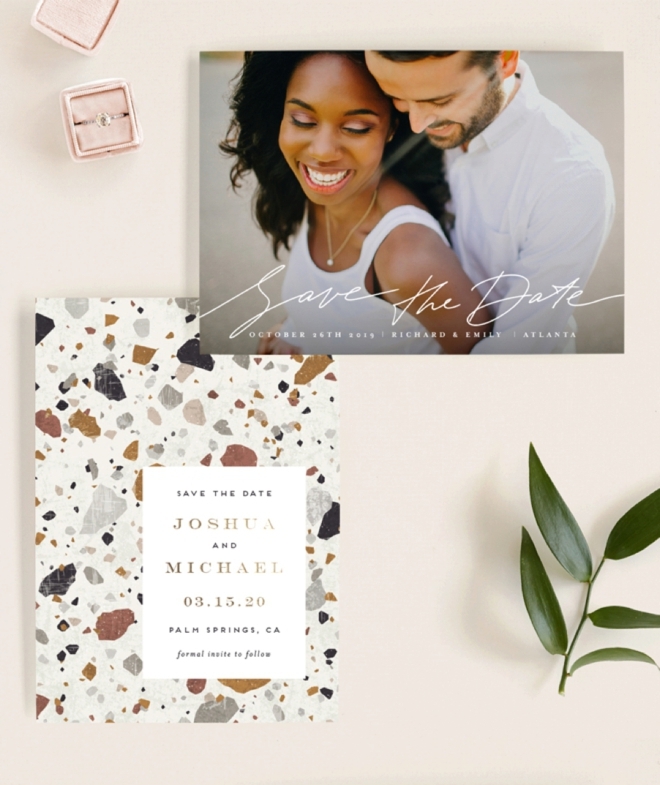 All Something Turquoise readers can enjoy 15% off all wedding orders and 30% off all Save the Dates orders during their Love Is In The Air event! 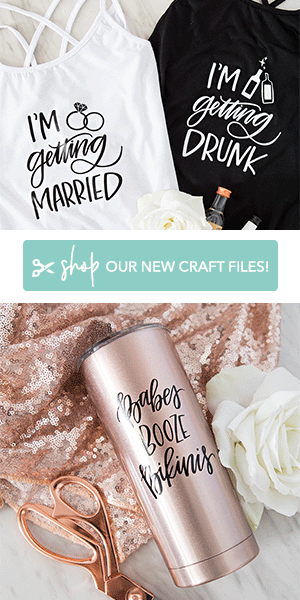 Simply use code LOVE19 at Minted.com now!